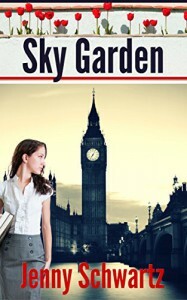 My romantic suspense novel, SKY GARDEN, is live on Amazon. I've made it as cheap as possible -- 99c. I hope you enjoy it. I'm aiming to prove Kindle Scout's editors wrong (they sent me the rejection email for it this morning). So if you have a dollar to spare, or if you're a Kindle Unlimited subscriber and can borrow it free, please pick up SKY GARDEN. And if you could reshare this post, that would be great. Nick Tawes is an unexpected intrusion. He’s a landscape architect filming a television series on roof gardens, and he intends to build one in Lanie’s aerial territory. He has his own demons, old family troubles, that lure Lanie out of her refuge and into living again. But as summer progresses and the sky garden grows, Lanie’s enemy is closing in—because some secrets must go to the grave.